Agency Power has developed the replacement thrust arm bushings to improve the handling characteristics of high performance vehicles. 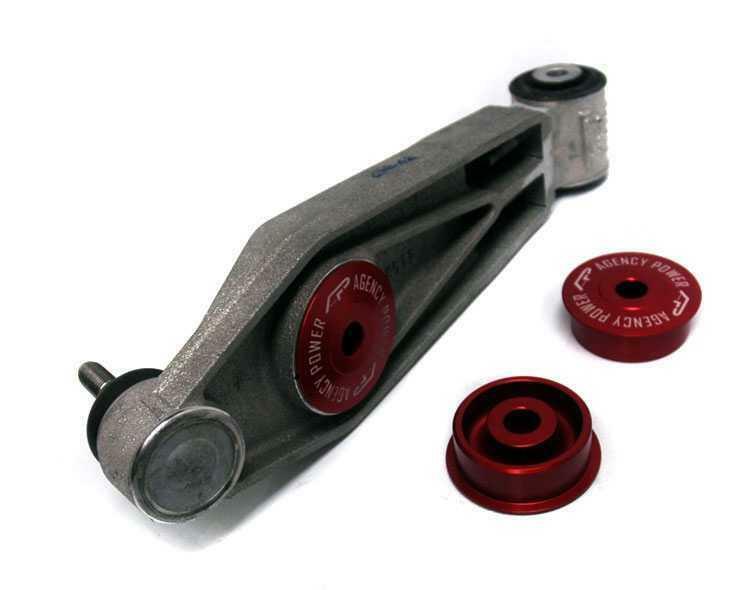 These non-adjustable thrust arm bushings eliminate the unwanted caster changes while the car is under acceleration and braking. 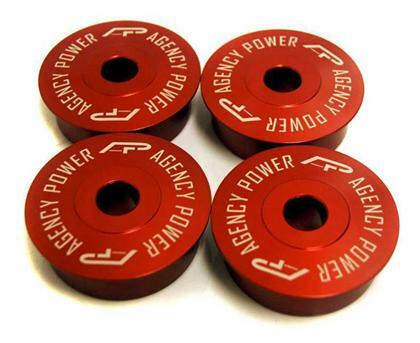 The Agency Power thrust arm bushing uses 6061 T6 aluminum to help stiffen the suspension without adding road harshness to the interior of the car. These bushings are a great improvement for anyone who frequents the track. Sold in a Kit of 4. Will fit OEM or upgraded control arms.